A basic wireless router is sufficient for a small apartment, house or an office but if you have a big multistory house or an office then a normal Wi-Fi router will not be able to fulfill your requirements as it has relatively short range and slower speeds. In this case you will a need a high power wireless router which has extended and longer wireless range so that your WiFi devices can receive strong wifi internet or wireless signals without any problem. So here I will provide you some of the best high power routers that have high speed and much longer wireless range as compared to normal basic wireless routers. Here are the best high power long range routers that can provide you excellent range and speed for your Wi-Fi signal. These high power wireless routers can provide you Wi-Fi range to more than 1000 feet. Netgear Nighthawk AC3200 is a monster of a Wi-Fi Router and easily one of the best wireless routers around. 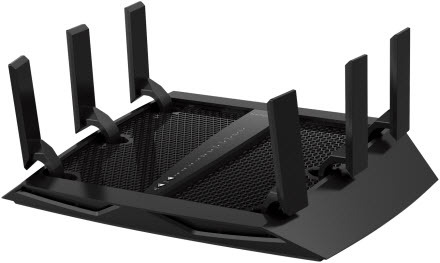 The router looks like a six legged spider because of the size and positioning of its antennas. It is tri-band wireless router and it covers a wider range for a big area. Besides excellent range this router offers you blazingly fast Wi-Fi speed up to 3.2 Gbps. This Wi-Fi router is powered by a 1 GHz dual core processor and three offload processors to ease out other tasks. It is equipped with 128 MB Flash and 256 MB RAM. The router consist of one 2.4 GHz band and two 5 GHz WiFi bands to provide you the maximum speed. The device also comes with USB 3.0 port for faster transfer of data to your high speed USB 3.0 enabled devices. There are total of six antennas which gives you maximum coverage and range even over a wider area. So if you are looking for really powerful and fast high-end Wi-Fi router then you cannot go wrong with this one. Highly Recommended by me. 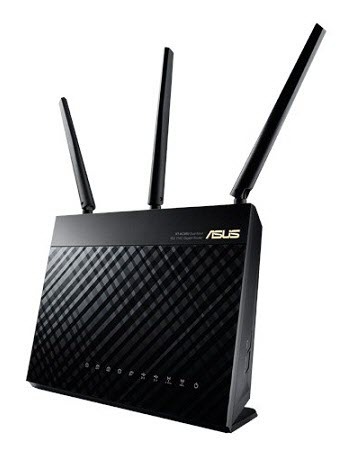 Asus RT-AC68U is a dual band wireless router which also has very good performance, range and speed. It is equipped with 3 external antennas that can cover a wider area and thus provides your good wireless range. It has got one 2.4 GHz band and one 5 GHz frequency band. This Wi-Fi Router can provide you wireless speeds up to 1900 Mbps which may be not as good as Netgear Nighthawk AC3200, but it is sufficient for the needs of most of the people. 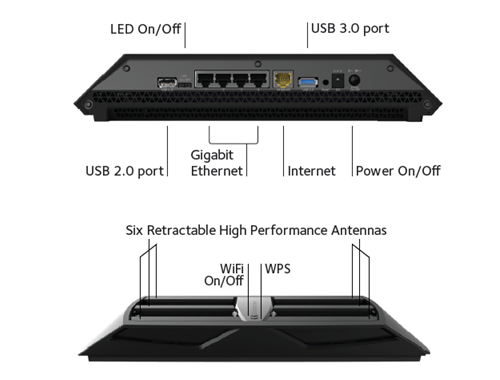 So if you are looking for a nicely balanced high power Wi-Fi Router for long range that is equal in performance to Netgear AC3200, then Asus RT-AC68U is the right choice for you. Highly Recommended Wi-Fi Router.